So, what does this portend for the work of government employees in the future? As part of its 20th anniversary activities this year, the IBM Center is exploring how government might operate 20 years in the future. It recently held the second in its series of “Envision Government in 2040” sessions, focusing on the potential impact of artificial intelligence on government operations. (The first session focused on the future of work in the public sector.) The session focused on barriers to the use of AI in government, as well as AI’s future potential. To understand how some agencies are using AI now, consider one example highlighted in a recent IBM Center and Partnership for Public Service report: The Bureau of Labor Statistics is using AI to help relieve employees of the tedious and repetitive work of assigning codes to survey responses from businesses on workplace injuries. By automating the coding process, the bureau improved both the quality and efficiency of the work. Instead of memorizing codes, employees are able to focus on more complicated cases that require human judgment. Hiring people with the skills to develop and manage AI operations. The limitations of legacy IT infrastructure and its interoperability. Ensuring transparency in the mathematical algorithms, which is made more difficult when using proprietary code. Understanding the legal implications of delegating decision-making to machines, especially in cases involving due process such as adjudicating when a person is no longer eligible to receive a government benefit payment. Kevin Desouza, in a recent report for the IBM Center, identifies a number of other challenges, as well. 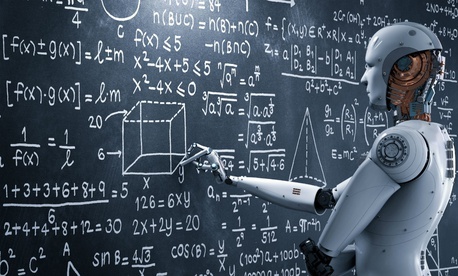 Interestingly, the group focused less on the challenges of developing the sophisticated mathematical algorithms needed to power AI and more on the challenges of the underlying data being analyzed by the algorithms. If the data is biased, then the algorithm will naturally produce biased results. This fear has been expressed at the local level, where AI is increasingly being used by police to predict where and when crimes may occur, but it is based on historical data where human biases led to unequal treatment of different neighborhoods. A more interesting segment of the session centered around potential future uses of AI in government—not grand ideas, but in day-to-day operations. Customized information for individuals. For example, the on-boarding briefings of new employees would be specific to each new employee, or the development of a virtual “case worker” who could create an integrated strategy of different services to assist a family or individual gain self-sufficiency. Real-time assessments of economic trends and indicators. An example is the daily economic index, the “Billion Prices Project,” being developed as an alternative to the monthly survey-based Consumer Price Index. Determination of government benefits such as Social Security disability, Veterans benefits, or workman compensation benefits. AI could reduce backlogs, increase the consistency in decisions made, and allow the human examiners to focus on more complex cases. What comes next? A recent Government Accountability Office report on the emerging opportunities and challenges of AI highlights a series of policy issues and research priorities that need to be addressed in the coming years. These include regulatory, risk, and ethical considerations. Along with these “soft” issues, the technical issues noted earlier of moving beyond existing legacy IT systems, IT systems interoperability, and data set sharing also require leadership attention. “AI will change the way public servants do their jobs,” notes the Partnership report. It notes that “Artificial intelligence is more than a technology. It is a road to transformation,” but that the challenges noted earlier will need to be bridged along the way. So, while there is much potential in the use of AI, the future is still . . . in the future. For more thoughts on what the next 20 years may bring for government, the IBM Center recently announced the winners of its Challenge Grant Contest. Out of nearly 80 responses, the center selected five that were particularly intriguing. The winners have been invited to write longer essays describing their visions.